If it is possible for a simple squeegee to be revolutionary, this is it. 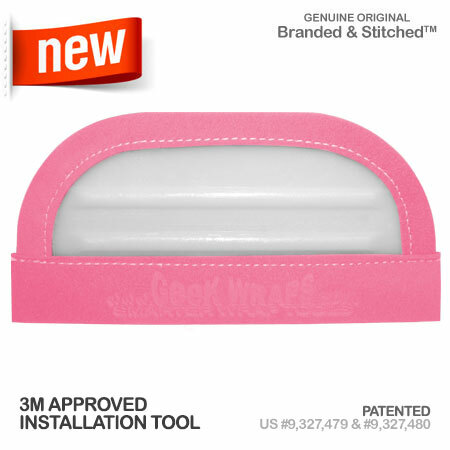 The patented microfiber wrapped curved edge is stamped and stitched. Made for use on complex areas of vehicle wraps, the Freestyle Curve can sculpt the vinyl, finesse the dwells, and roll the vinyl into crevices scratch free. Use it wet or you can use it dry with light pressure. Master your own artistic style of egressing and exhausting the air from beneath your wrap for an excellent, flawless installation. Measures approximately 6" wide.